Do you ever feel like the whole world has gone bananas? Remember the referendum on whether the UK should leave the European Union? 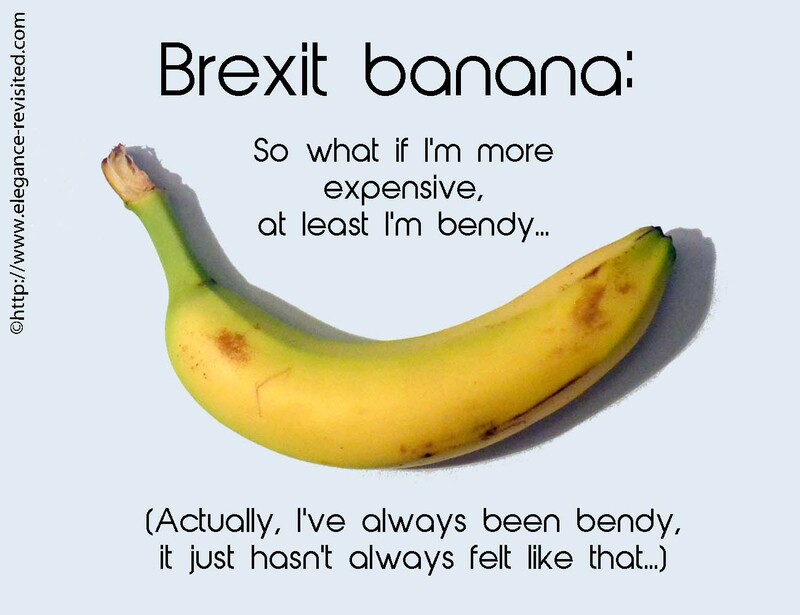 It appears some people voted LEAVE because of bananas… Yes, they want bendy bananas instead of straight ones and think that the EU won’t let them have them. 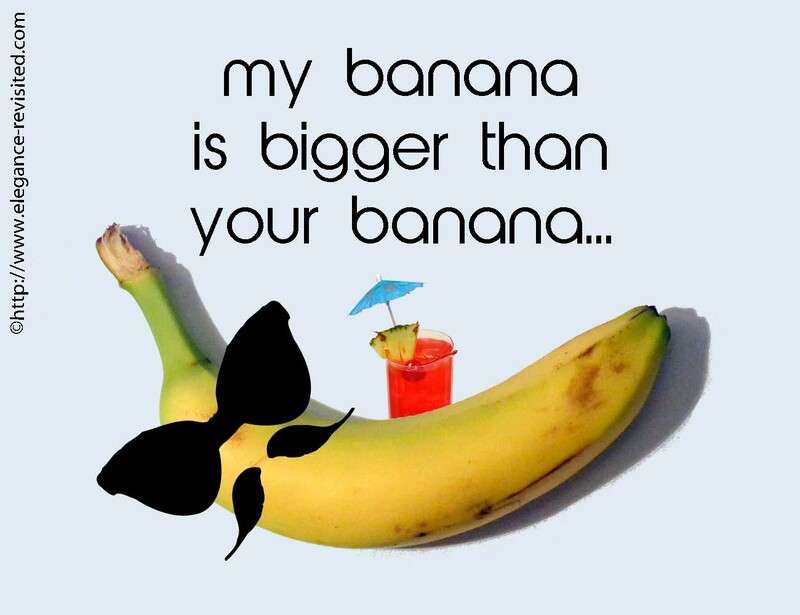 Bendy bananas, that is. Anyway, as I said, I’ve been at home for a couple of days and I’m getting bored out of my head, and that’s when I always get some crazy ideas… so I though I should get photographic evidence that there are indeed bendy bananas in the EU. And here we are! The bananas in these pictures came from my local shop, in Helsinki, Finland (which is an EU country, of course). It’s not a huge sample, I admit, so next time I go abroad I will try and remember to photograph more bananas. You know, like a real investigative reporter… I’ll keep you posted. …of the ego, that is. That SNL joke was really funny: the toddler-in-chief is obsessed with how many people attended his little party, and throws a hissy-fit on Twitter… Wait, it wasn’t a joke?! What does he think this show is, American Idol? Damn! I thought it would work. You know, if you really believe something is true, then it’s going to be true. Or, the more Orwellian version: I can believe in two contradictory, mutually exclusive facts simultaneously… No? And here I thought these days we could just choose the facts we like. I thought it was all about what you want to believe now. That facts are subjective, a matter of taste, a bit like opinions, really. And if you don’t like my facts, well, that’s just because they’re alternative facts. But they’re just as good as your facts. You know, those people who just won’t get it that democracy stops when their side loses. And because their side lost, they don’t have freedom of speech anymore. Because now the other side has it. It’s like Stanley Cup or whatever: only one team can take it home. Duh! 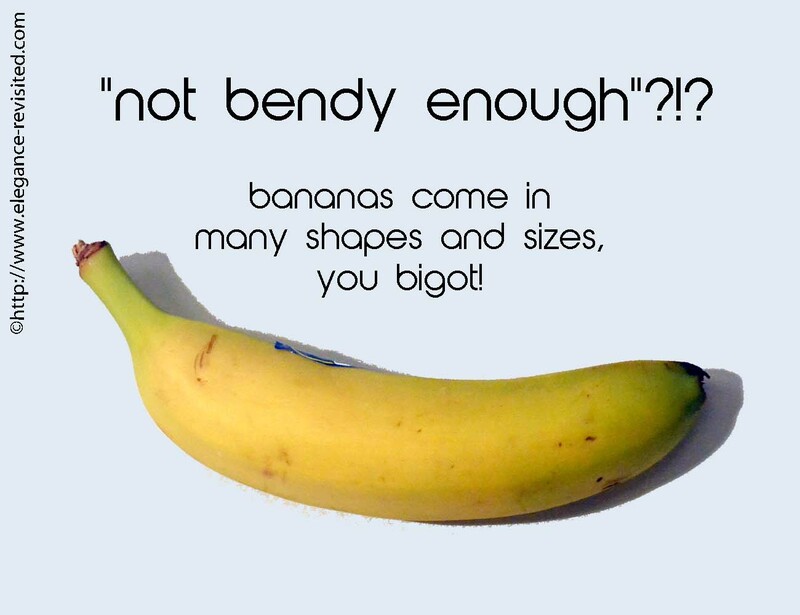 And then this stupid idea of diversity… If people want bendy bananas, then that’s what they should get. Not tailor-made bananas. Or mini-bananas. 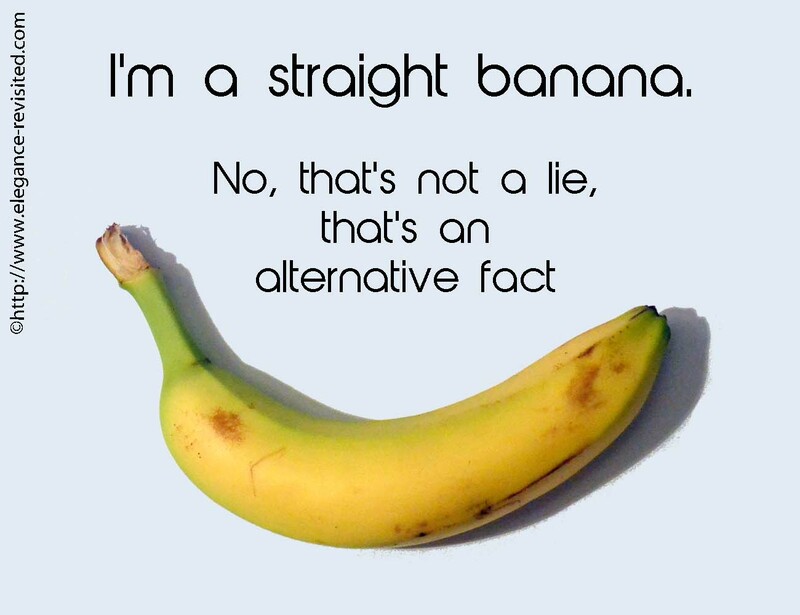 Or green bananas. One size fits all, that’s it. 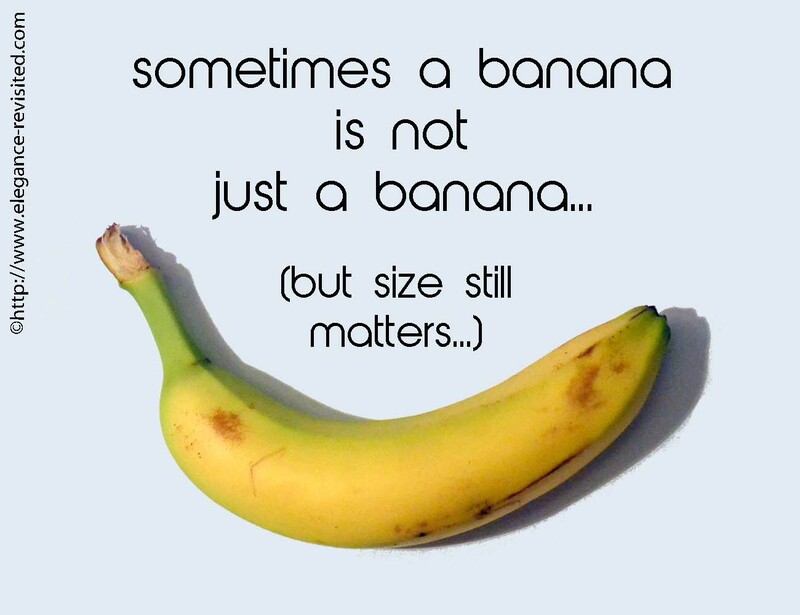 No bananas were harmed in the making of this blog post. All bananas posed for photos willingly, although not of their own initiative. All bananas are EU nationals and thus do not require work permits. The bananas will not be available for comments or further photo opportunities because they will be eaten within the next few days. I really really like you're way of thinking and writing! I started following your blog because I'm 'a short middle-aged woman', looking for some realistic fashion tips, but I enjoy "the other kind" of newsletter you send. Thank you so much, Gertie! I always wonder if people really want to read this type of posts, and yet I feel so strongly that I need to speak up. So, your words mean a lot to me. Thanks, Greetje. Yes, it sometimes feels as if the world is crumbling around us, and sarcasm is my way of dealing with it. You should become a standup comedian. Oh hell….You already are! A ,,net,, comedian. You write so funny and interresting! Whew! I worried maybe you were exploiting bananas. I hope they had a happy life after the photoshoot. Very funny bit. Hope you feel better.